If you want use my photos, they are for sale. 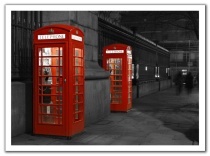 Tell my what you want to use my photo for, and I will sent you my price list. If you want to contact me please click here. I am working a lot with model photography. I work in my own homestudio. I am a great fan of Pin-Up pictures. My primary inspiration is the work of the great artist Gil Elvgren. I have 08.03.19 been awarded Photo of the Day with my photo: Phone to a Ghost at the american site BetterPhoto.com - one the worlds largest photosite. 08.03.25 the same photo was given i 2nd place in the monthly competition for February 2008 in the category "Travel and Places". The sight has 30.000 entries into their photo competitions every month. The site is visited by 250.000 unique visitors every month. The Onexposure Photo Book 2008 will contain many of Onexposures best photos. 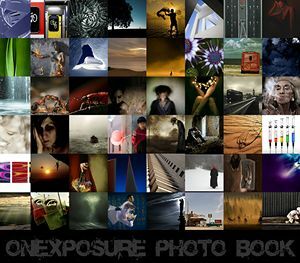 The book contains almost 250 photos contributed by over 100 Onexposure members. All photos have went through the screening process. Two of my photos The View and Living in a box has been selected for the book. See my recommandations on some good photo books. Hope you will enjoy my photos.